The Hulu show Spoilers from Kevin Smith pulled off what may have been the classiest, most timely, and respectful television show of all time. In an age where we are bombarded with news bites and pundits Kevin got together with a group of regular moviegoers and discussed in a very real, open-hearted, and classy way the incident in Aurora Colorado at the première of The Dark Night. 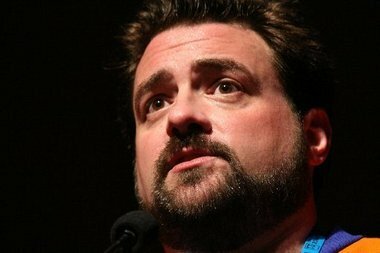 In presenting this special episode Kevin Smith became more than a movie fan or movie maker, but the true voice of America. There was no music, no cartoons, no Criterion commercial. It was one of the most powerful things I have ever seen on television in the way it was handled. Watch this episode if you want to feel a little better about our country and our people. We need more television like this, in-depth discussions with real people and Kevin Smith may have accidentally just hit on a format for the web that is badly needed.